In addition to the Pastor, other clergy and staff, Our Lady of Grace extends the pastoral leadership of our parish to adult members primarily in three ways: Pastoral Council, Finance Council, and Leadership Commissions. Each of these leadership groups provides input and counsel to the Pastor according to the gifts and talents of its members. 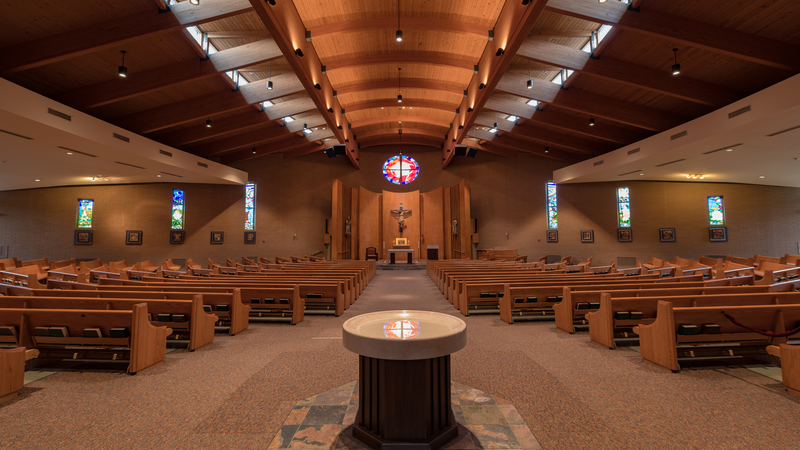 A parish’s Pastoral Council is a group of 9-12 parishioners who work in conjunction with the Pastor to provide consultation for the pastoral planning of the parish in carrying out the mission of Our Lady of Grace Church. The Pastoral Council meets 3-4 times per year with its agenda established according to the work of the 5 Leadership Commissions. The Pastoral Council Membership is divided into 5 leadership commissions which focus on a specific area of the parish. Each commission is convened by 1-2 Pastoral Council members, who lead a team of additional parish members representing all of the stakeholders in the specific focus area. Also, a member of the parish staff is assigned to each Commission to serve as a liaison of the Pastor during commission meetings. The Leadership Commissions meet a minimum of 4 times per year based on projects and new initiatives. Membership is based on the needs of specific gifts and talents for each Commission. After the discernment of the current Commission members, the Pastoral Council, and the parish staff, in conjunction with the Pastor, parish members are invited to serve on a Commission. The main purpose of these Commissions, through observation, discussion, and discernment, is to assess and prioritize recommendations to the Pastor regarding ways to improve the specified area of the whole parish. In addition to these recommendations, the Leadership Commission will help to implement approved recommendations.